LG has just announced the third V-series flagship, the LG V30, at IFA Berlin 2017. As expected the V30 builds upon the strengths of the V-series of flagships, this time around LG is hoping to deliver an all round multimedia experience. Several innovations help to transform LG's desires to reality including the cameras, screens, sound systems, and underlying processing hardware. 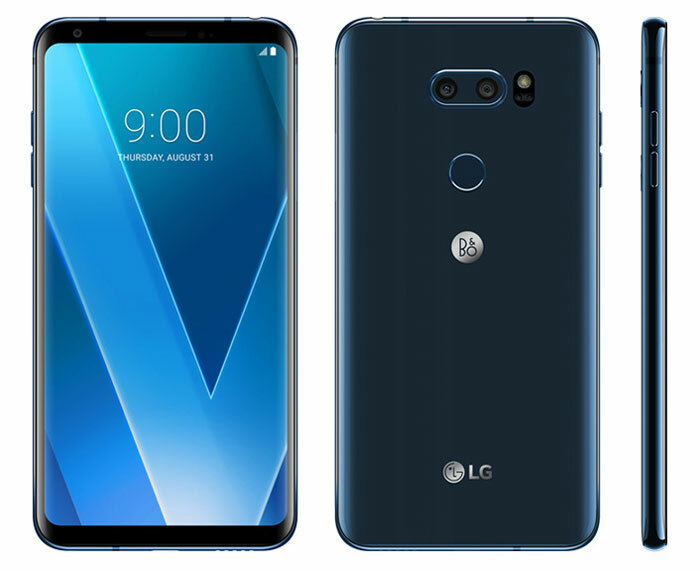 In the LG V30 you will find "the first F1.6 aperture camera lens, the first glass Crystal Clear Lens, the first OLED FullVision display, Cine Video mode for producing movie-quality videos, premium sound with advanced Hi-Fi Quad DAC, sound tuning by B&O Play, and Voice Recognition," boasts the South Korean electronics giant. We read quite a bit about the V30's camera systems in a pre-reveal teaser blog post from LG earlier in the month. The firm's claims, pseudo-science, and marketing diagrams earned scorn from the HEXUS readership. Nevertheless, LG claims its f1.6 rear camera aperture with glass Crystal Clear lens "is the most capable image capturing device in a smartphone". It mentions that the second lens in the V30 dual camera is an upgraded 13MP wide angle lens with two-thirds less edge distortion than in the V20. The dual camera setup consists of a 16MP standard angle camera and a 13MP wide angle camera. For clear and sharp exposures LG has equipped Optical Image Stabilization (OIS), Electronic Image Stabilization (EIS) and Hybrid Auto Focus that combines both Laser Detection Auto Focus and Phase Detection Auto Focus. On the front there is a 5MP wide angle camera with f/2.2 lens. Other interesting camera features include Cine Effect (15x preset effects), Point Zoom (zoom into any area of the screen, not necessarily the centre), Cine Log (wide dynamic range and colour gamut) capture, and the Graphy Manual Mode. An impressive screen is important to many smartphone users and LG packs a 6-inch 18:9 QHD+ (2880 x 1440) OLED FullVision display into the V30. Even with this display the V30 is 8mm shorter and 3mm narrower than its predecessor. LG managed to get the thickness of the phone down to 7.3mm and it weighs 158g, making it one of the lightest 6-inch+ smartphones available. LG's previous V flagship had a second screen but this functionality isn't necessary now with the always on OLED display and customisable quick tools / music player floating bar. Powering the LG G30 you will find a Qualcomm Snapdragon 835 processor inside with heat pipe. This is supported by 4GB of LPDDR4 RAM. Built-in storage of 64 or 128GB UFS 2.0 is available and users can add a microSD card up to 2TB. Users have a number of options to unlock their V30. Accompanying the fingerprint sensor, LG has enabled face recognition, voice recognition (with user defined keywords, and knock code. The slim and light LG V30 is said to be durable thanks to its H-beam structure and Gorilla Glass 5 front and back. LG has gone some way to prove the durability of its new device as it has passed 14 categories of the MIL-STD 810G Transit Drop Test, and it is IP68 water and dust resistant. It can be submerged in water 1.5m deep for up to 30 minutes without ingress. 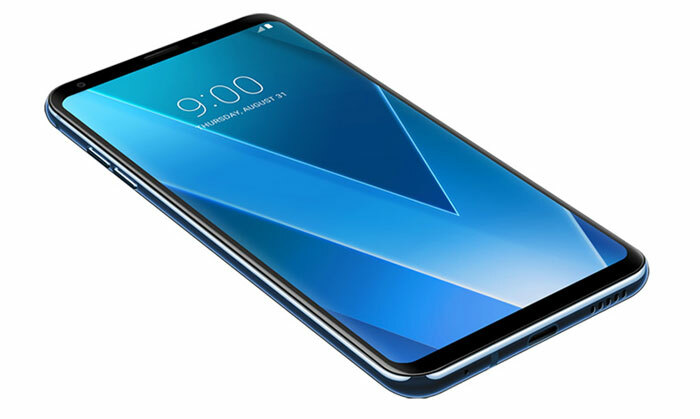 The LG V30 becomes available South Korea starting on 21st September. Other markets follow but LG hasn't provided a timescale. The 64GB version will be available in Aurora Black, Cloud Silver, Moroccan Blue and Lavender Violet. HEXUS just received an email from Carphone Warehouse which says that CPW will be the exclusive UK distributor from October onwards, with Aurora Black and Moroccan Blue versions. Pricing wasn't provided. Only 4GB of RAM? The rumours were talking about 6GB. F1.6 camera with a tinier sensor than the V20,so this is why they need a larger aperture. the best looking LG product I have ever seen. I have the LG G5 and I really want this phone. I think i've picked my next upgrade path! I wonder why no phone manufacturers are using quickcharge 4.0 yet? seems even more stupid that samsung are still using quickcharge 2.0 espically since samsung and qualcomm teamed up to promote quickcharge 4.0 saying that it is safer and helps with their message for battery safety. I do like my LG G4 and the camera is really good. I am not looking to go for LG again due to the slowness of updates especially security patches. still haven't got Android N on my G4 yet. I really hope that project treble does speed up updates but I will believe it when I see it. I still regret getting rid of my nexus 5 and favour fast updates and pure android over anything else as i feel that nothing major has changed in the last few years with phones. I was hoping that some new battery technology would of been out by now. I would be happy having the phone battery lasting a week just like the old feature phones had. we all know that the samsung fanboys will say that LG have copied the galaxy S8 because it looks exactly the same on the front. It is good that LG have put the fingerprint scanner in a sensible place unlike Samsung. For the amount of money it cost for a flagship from LG or Samsung i am surprised that people put up with all the bloatware on them. If you get get bloatware on windows you can remove it or do a fresh install of windows but you cannot do the same on a phone without voiding warranty or affecting functionality such as stopping android pay from working. Is LG going to provide all the features in the europe version this time?